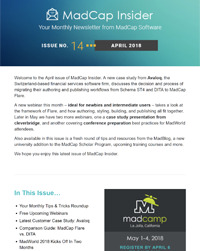 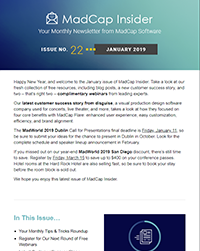 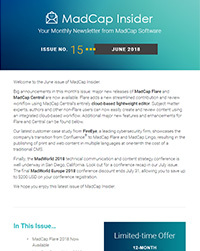 Your monthly resource for the latest blog posts, case studies, free webinars, product releases, events, promotional offers and more. 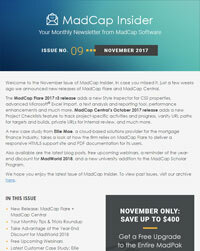 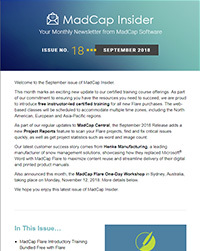 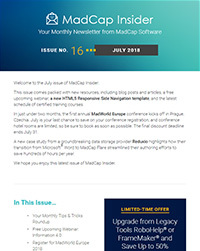 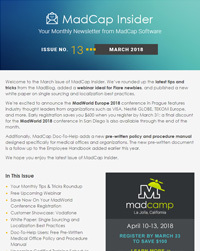 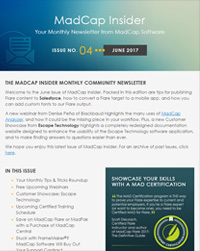 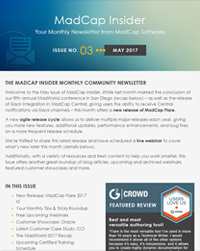 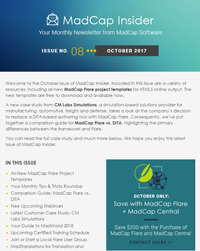 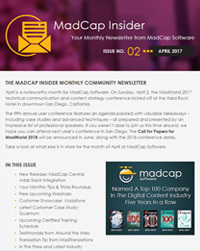 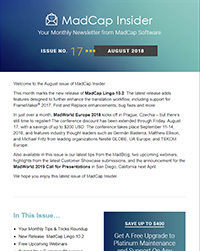 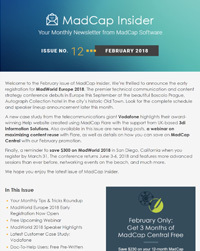 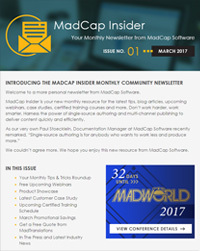 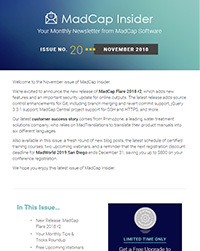 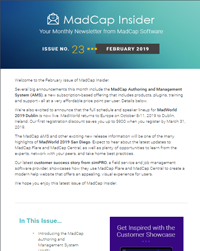 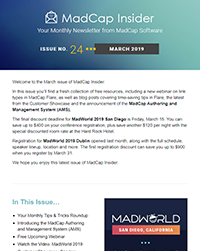 View the MadCap Insider archive here. 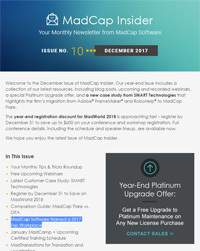 Your privacy and security is important to us. 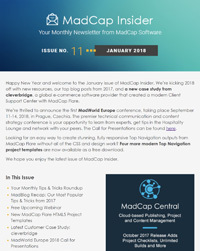 We will never share your information with a third party. 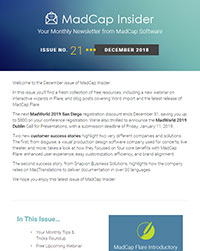 We will store the information you provide to us, and will only use this information for the purpose of assisting you with your newsletter signup request. By checking this box you agree to these terms.